March has been full on the most scary month this year so far as I've attempted to tackle most of my dissertation. When you're not in your final year and you hear people go on about their dissertation you're like, "Why do they keep going on about it? It can't be that hard. They shouldn't of left it until the last minute," but seriously, doing my dissertation has felt like being blind and trying to write an essay. It's not been an easy process. Whilst my dissertation has been dominating a large portion of my life, the other thing that will always dominate my life is of course my love of beauty, and that has not come to a halt this month whatsoever. I have a fair few favourites this month, so grab a cup of tea and read away. 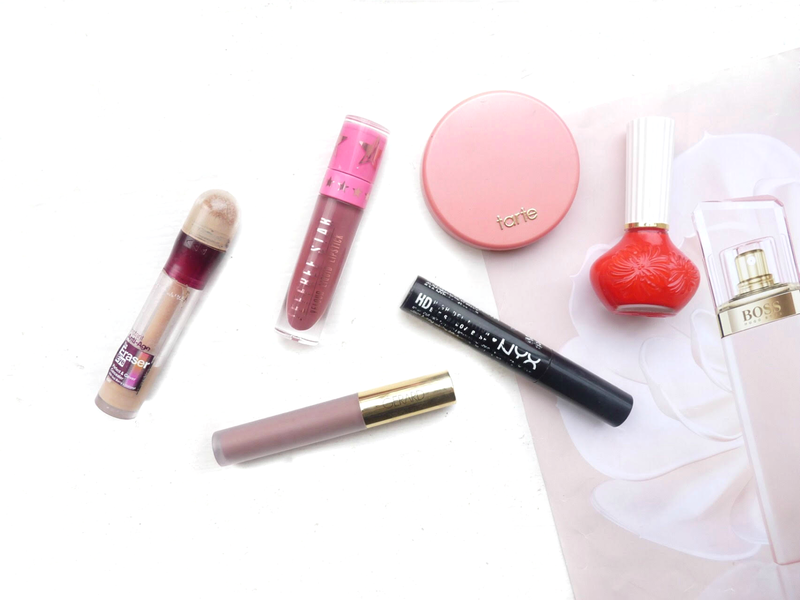 Now we're easing into Spring, I'm embracing lighter blushes instead of my winter choice of deep blush shades. If you're a blush junkie and you haven't tried the Tarte Amazonian Clay blushes, you are missing out. I live for super matte blush and the finish of this gorgeous product is absolutely perfect. It's matte as matte could be and whilst the colour is vibrant, it is slightly sheer which makes for creating a beautiful, subtle wash of colour that is what I want from my blush. I'm not fond of anything too pink and Captivating is a gorgeous peach toned pink which is super flattering on my medium toned skin. It gives an instant wake me up to my makeup and I've been loving it for my fresh, everyday spring makeup looks. In the past few months I have stepped away from acrylic nails (sob!) and have been donning my natural claws instead. After years of getting acrylics done at the salon and always using their colours, I've actually had the chance to delve into my nail varnish collection. One of my recent favourites has been Paul and Joe polish in number 19. It's a very pretty orange toned red, which I think is the perfect transition shade into spring. I adore the quality of this polish as I find it glides on super easily and always dries in a flawless, even finish. I will say it does flake off as quickly as the next nail varnish, but it does dry quicker than most which makes reapplication a breeze. I've been using this non stop, not only in March but pretty much every one of the last few months. This is a product that was massively hyped on Youtube and I can honestly say, I understand and appreciate the hype. I love the matte and high coverage finish of this concealer. The concealer is high coverage, which is great for hiding any dark circles, but also very buildable which I find really helpful as some days I definitely need more coverage than others! It also dries really quick and matte, which is perfect for someone like me who has oily skin so is grateful for her matte finishes. MAC's Soft Ocher has been my ride or die eye primer for eternity now, but as mentioned in my last post I've been unusually dry as of late and I've been reaching for this as a more hydrating primer option. This gorgeous little NYX product is a super affordable liquid eyelid primer and I find it perfect for effortlessly prepping my eyes before applying the war paint. I have properly reviewed this in my Base Edit post a while back, so have a read of that if you want to know a little more about this product. A brand of liquid lipsticks that I am obsessed with at the moment is Jeffree Star's. My friend and I would listen to his music in our teens, so seeing him step on the makeup scene definitely brought back some nostalgia! This gorgeous lipstick had been out of stock forever, but I luckily managed to get my hands on it when they restocked. They went out of stock again almost instantly so it felt pretty amazing to get it. This is a gorgeous pink/mauve and the formula of these liquid lipsticks are literally the best I've ever used. They are super comfortable on the lips and the colours are just perfect. 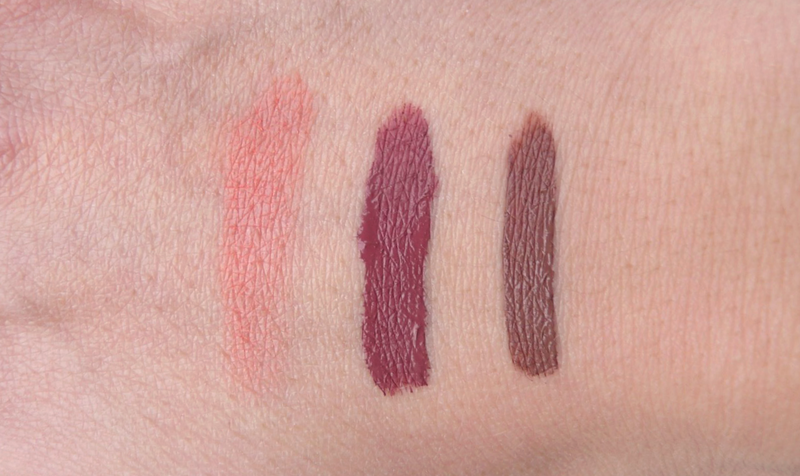 Another brand of liquid lipstick I've been obsessed with recently are by Gerard Cosmetics. These are a very, very close second in the comfort games behind the Jeffree Star Formula and the colours are just divine. I adore the shade Iced Mocha, I wore it in my most recent Youtube tutorial (which you can watch here) and it's probably one of my most used liquid lipsticks of all time. When swatched and first applied, it looks brown, but it dries with a more purple tone to it. I always get complimented when I have this on, and I also feel like it really brings out the blue in my eyes which might be completely in my head, but it definitely feels that way! Jeffree Star lipstick looks great! Tarte Blushes are so of my absolute favorites as well! I also used to love the Maybelline Age Rewind but the recent one that I purchased was really dry and hard to work with! Those two liquid lipsticks look amazing! I haven't tried either of those brands before but they're on my wishlist!